Finnish firm HMD Global Oy, earlier in the month confirmed to host a product launch event on February 24, just a day ahead of Mobile World Congress (MWC) 2019, Barcelona. 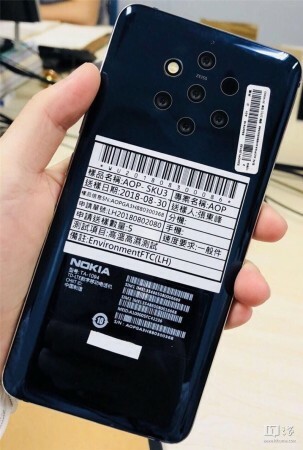 Though there was no word on what the company will be unveiling and now, we just got reliable information that will surely get Nokia fans excited. Google's Android enterprise website accidentally listed the un-released Nokia 9 as one of the Android One support devices revealing key specs and also gave us a glimpse of the front panel of the device. Once the word got out to the media, it was taken down. But, by then several blogs had taken a screen-shot Nokia 9 webpage. As per the Android website's screen-grab (courtesy, Nokia Mob), Nokia 9 sports a big 6.0-inch screen with rather thick bezels on top and base, which is a bit bizarre, considering the fact, that several phone-makers have moved on to the slim screens with water drop-notch, Infinity V, U series display variants and yet HMD Global is sticking to the out-dated design language. However, the Nokia 9 screen will have 18:9 aspect ratio, so loyal consumers will be satisfied with FullView screen to watch movies and TV shows. Nokia 9 is also expected to come with 4GB RAM, 128GB storage, a fingerprint sensor. Near Field Communication (NFC) support and the device will be powered by Android 9 Pie OS. There is no mention of camera and processor details, rumour has it will be powered by either Qualcomm Snapdragon 845 or the latest Snapdragon 855 chipset. The Nokia 9 will be the industry's first mobile to boast PureView Penta-lens camera hardware. There is no information how the device will make use of the so many cameras to get the best picture, but it is certain to perform well in low-light conditions and also be able to snap really good Bokeh images. Nokia 9 is said to come packed with a 4,150mAh battery with wireless charging support and a fast charging cable via USB Type-C port. Word on the street is that Nokia's upcoming flagship could cost €749 (approx. Rs 59,780, $850) or €799 (around Rs 63,770, $900) depending on the markets. 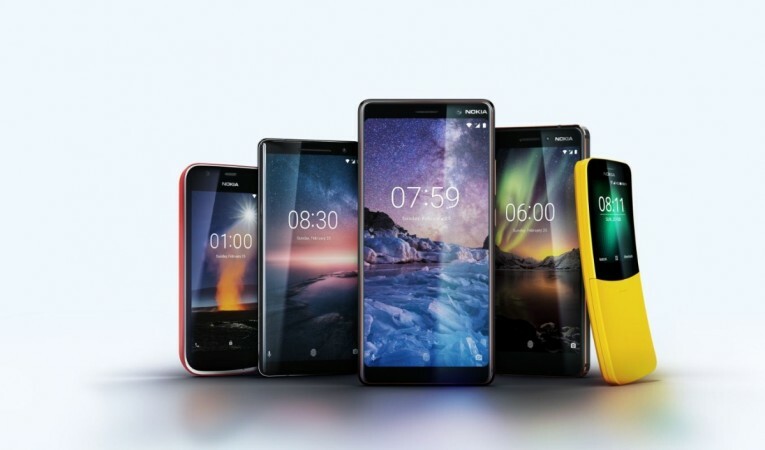 Besides the Nokia 9, the company is expected refresh its mid-range and budget phones at MWC 2019, including Nokia 1, 2,3, 5 and 6 series launch and may also bring back retro feature phone with support for latest apps similar to the Nokia 8810, the Banana-inspired phone.